Buddhafield have a new event coming up this year, building on the success of the much-loved Buddhafield Festival, now in its 17th year. Titled ‘Green Earth Awakening’, it’s on the theme of ‘Tools for your Mind, Skills for our Future’. 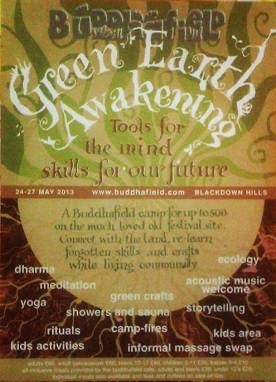 There’s details on the Buddhafield website at www.buddhafield.com/index.php?events=green-earth-awakening-camp. They say – “‘Green Earth Awakening will be a wonderful opportunity for up to 500 people to come together on a Buddhafield-style camp, on our old festival site, in the glorious Blackdown Hills in Devon. It’ll be a chance to connect with the land, re-learn forgotten skills and live communally for a while, exploring pathways towards a sustainable future. There will be a range of green crafts, offering the chance to make something beautiful with our own hands and learn new but traditional skills; social change workshops and ecology talks, helping us to face difficult truths about ourselves and the world; meditation, rituals and Dharma talks giving us the spiritual context in which to explore those truths and help us grow and change. We can all become what the world needs now! Alive, aware, in touch with the earth, connected. There will also be a space for massage swaps and other healing, a kid’s area with activities offered (dependent on parental involvement and supervision), storytelling, poetry and acoustic music around the camp-fires at night, sharing our inspiration and heartfelt offerings”. Dates are 24—27 May 2013, prices are on their website. 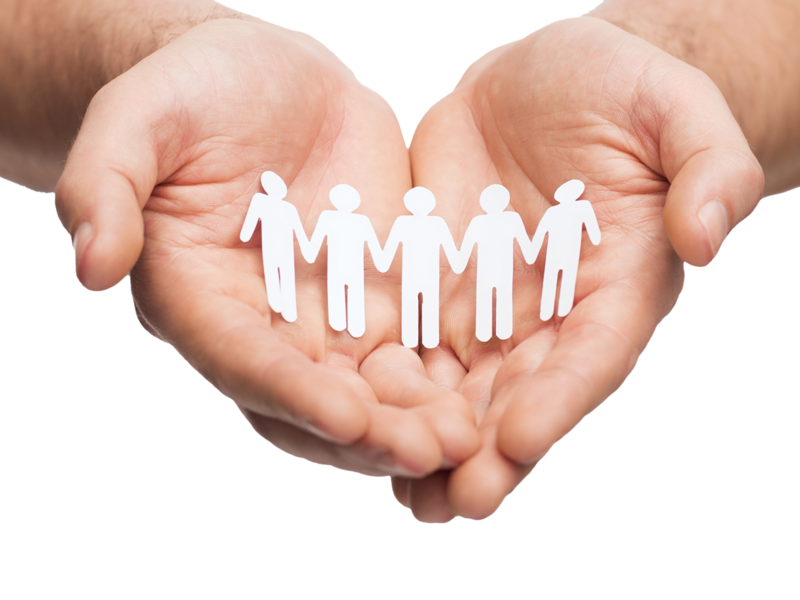 For more information and to volunteer, contact Lou.